I hate it when I see photographers writing articles like this. I always think ‘why bother? … just let it go, this isn’t going to change anything’. But here I am anyway, tapping away to release some of this pent up anger. And I don’t expect this to change anything for me, but I sincerely hope it can stop at least one other person making the same mistake I did – buying a Drobo. What *really* annoys me is that I actually read an article just like this, about 7 years ago, written by Scott Kelby. It was called ‘I’m done with Drobo’. And for the last 6 and a half years, I didn’t buy a Drobo – despite them looking pretty good on paper. Having some sort of easy to access, long term storage for the huge mass of files that full time digital photographers create is a bit of a holy grail. I had been storing most of my archive on various individual hard drives but it was a bit cumbersome when I needed to dig out older files. I wanted something simple to use, reliable and with a large storage capacity – as a backup to my individual archived drives. So, in September last year, I finally succumbed and I bought a Drobo 5c. I convinced myself it would be okay. All those earlier problems I’d read about were sure to have been ironed out by now, right? The newer drives were bound to be more reliable, right? And as a company they were still going, so they can’t be that bad… right? One of those summer weddings! They look happy don’t they. They’ve probably never used a Drobo. Now, I’ll hold my hands up – I bought the Drobo at a really bad time. I’m a wedding photographer. It was September. That’s probably the busiest month of the year, at least in the UK. 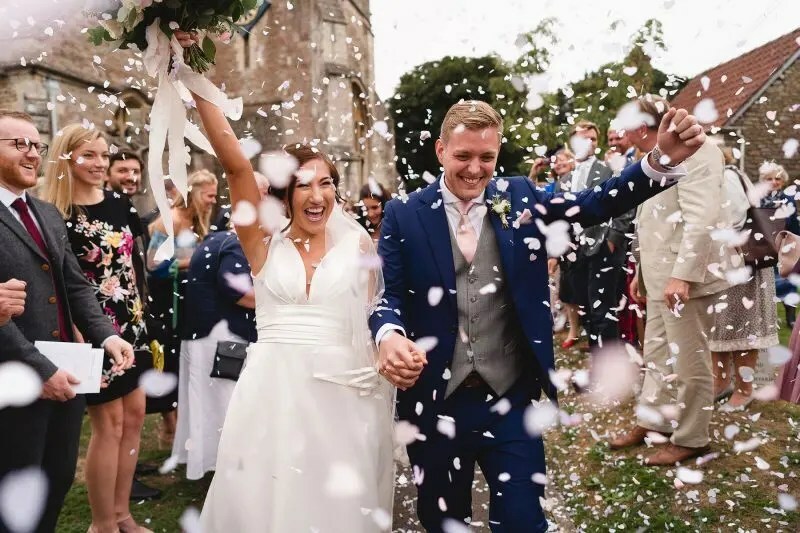 There’s still lots of weddings happening and you also have the backlog of the summer weddings still to edit and to be honest you barely have time to think, let alone set up a whole new storage system alongside your existing one. Pretty dumb of me. So guess what – I didn’t set it up, I left it for a couple of months as I was so busy. By November time, things were quietening down a little and I ordered a couple of 6tb disks to go in the unit to start me off. I figured that by January it would be nice and quiet and I could have the system up and running for the next year. The disks arrived, and at the end of November I excitedly started to follow the Drobo installation instructions. I did everything it told me to. I tried to insert the disks but one of them just wouldn’t go in happily. The little latch that keeps it in place just wouldn’t seem to click over the disk fully to secure it. But I’d never used one before and so I assumed that maybe some of them were a better fit than others. I persevered – I tried to initialise the drive and it saw both of the disks I’d inserted, so I carried on. It seemed to be working, hurray! But then the disk that wouldn’t sit in the bay properly started going offline, and the Drobo would tell me there was an error, and it would take a day or two trying to rebuild. But during that time the disk would reappear again, throwing the Drobo into a state of confusion. After a frustrating few days I gave up with it, deciding to come back to it once I’d finished my edits for the year, got my Christmas weddings out of the way and done my 2018 best of post. It took me two weeks of back and forth emails with their support for them to acknowledge the problem. Finally they agreed for me to return the unit, despite the fact it had been faulty from the outset. They told me initially that I wasn’t eligible for an exchange, then they relented and informed me that the unit was covered by a standard warranty and that I should send it back to them for a replacement. Progress! I’ve had faults with products before, it happens. I once had a memory card go bad and Sandisk arranged for it to be collected, then sent me a brand new one as a replacement. That’s customer service done well. Drobo made me ship the item back to them. To Holland. It cost me £56 just to post it back to them. I asked if that would be refunded and they said no. Great. Thanks. Three weeks went by and I’d heard nothing. I checked the tracking to see if it had been delivered and it had, two and a half weeks earlier, on the 8th February. On the 21st February they were still claiming it hadn’t arrived. I sent them the tracking proof and suddenly I was told they had found it and would send out a replacement. At this point I had put in quite a bit of money, time and effort in trying to get a functioning Drobo. But naively I was still hopeful that it would all end well. And so, a couple of weeks ago the new Drobo arrived. I fitted some brand new disks to it (just in case my previous ones had somehow caused the issue with the first unit). I powered it on. I waited for it to initialise. All the disks seemed to be working. The green lights were on, it was all looking good! The Drobo 5c. Or as it’s affectionately known in my house, the Little Black Box of Doom. And so at last I began to transfer my archive onto it. I did a few folders at first, to test it out. I came back to the desk a while later to find that the Drobo had disconnected itself and the file transfer had failed. I tried again, with fewer folders. Same thing happened. I emailed support YET AGAIN (I imagine some sort of warning klaxon goes off in their office now when an email from me arrives). I had an email back from them. “Could I please use a different lead?” Well, no. I don’t have any other leads of the same type that the Drobo uses. They reassured me that it was likely to be a cable issue and after I asked them to, they sent me a new cable. A part of me was surprised that they didn’t ask me to buy one, or at least pay for the postage. The new lead arrived yesterday. I tried another transfer. It failed again. And this is where I sit. Looking at the shiny drobo unit on my desk, with its fancy green lights, totally and utterly useless. I’m at a loss as to what to do next. I’ve asked for a refund, countless times. They have said no. I don’t know what to do now. Does anyone want a £360 doorstop, because I don’t think I can bear to look at it any longer…. N.B in the interests of fairness I do know photographers who have Drobos and use them and have not had any problems. 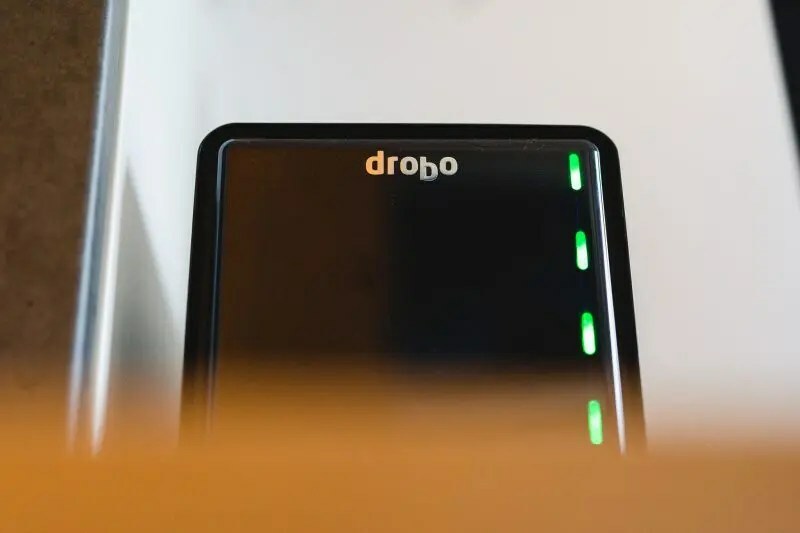 I’m not writing this because I think all Drobos are awful – but because, based on my experience, if you buy one and have problems with it then you won’t get much help. So this is a warning for any fellow photographers who might be considering it. I had this exact same problem with the Drobo 5C too! I tried three different units on different macs and different cables. All had the same issue. Random disconnections culminating with data recovery mode. I never got any reply from Drobo support. Their phone support voice mail was full. In the end I got a refund. Several months later I tried a used 5dt from eBay and that’s been rock solid. Oh I have one of those doorstops! A lovely shiny generation 2 one, but it refused to work when I updated my operating system, then Drobo said they were no longer going to release a patch for any further operating systems because they didn’t want to support that generation any more. And they wanted me to pay £200 to their support team in order to retrieve the files I had on there. Awful company. Mate I had exactly the same issue. Literally almost gave me a heart attack seeing 2 years of weddings fail and go. I recovered them after they replaced the unit. But never again have I used a Drobo.